Sometimes our homes need a bit of a facelift. If this is something that you know going in, there is a chance that you might be able to finance the remodel using your mortgage. But that does increase the mortgage payments and might not work out to be affordable in the long-run. Renovations and maintenance is big business. In 2015 alone, $340 million was spent in this area in the United States alone. Not everyone has the money to do a complete remodel, but there are a lot of ways to update your home without breaking the bank. In this post, we will look at seven ways to renovate your home if you are working on a limited budget. This is probably the fastest way to get that “new home” look and feel. Over time, walls get grubby and grimy, even if you do wash them on a regular basis. Painting your home is something that can be undertaken in a reasonably short amount of time and requires no specialist knowledge. 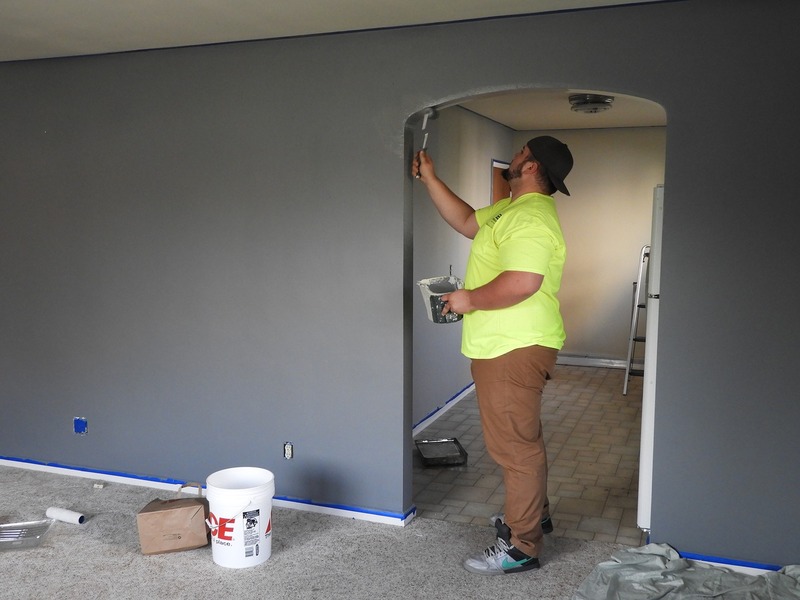 You can paint one room at a time to keep the expenses down further if you need to. The kitchen and bathroom are the areas in the house that tend to date the fastest. A kitchen remodel can be as simple as repainting the cupboards and changing the handles. That won’t cost much. You can also look into changing up the backsplash behind the sink, and replacing old tiles. Another area to look at here is to update all the appliances. Matching chrome appliances will work with just about any style of kitchen and can help to create a cohesive and modern look. If you still have those hideous avocado-colored tiles from the seventies, there is nothing that will quite update your bathroom as much as retiling it. The are some nice options when it comes to choosing new tiles and, because the bathroom is relatively small, it will not cost you a fortune. It is not that expensive to replace the tub, shower stall or toilet so this is something that you might also consider doing. If you cannot afford to replace your bathtub, you might be able to have it resurfaced instead. Your built-in cupboards do show signs of wear and tear over time and can become quite grubby. You can easily update their look by refinishing the doors, having them repainted and changing out the handles. Many little details can help to give your home a fresher appearance and that do not need to cost the earth. What about installing downlighting to change up the atmosphere in a room? Or custom coffers? Or a faux tin ceiling tiles? Paneling is another architectural detail that could help you define a particular area in a room without actually costing a bomb. One area that most homeowners could always do with more of is custom storage. If you are handy with lumber, a simple way to do this would be to remove a section of the drywall and install shelving between the struts. Wallpapering a whole room can be time-consuming and a little on the expensive side. Choosing a single wall instead and making it a feature can cut the cost substantially. Choose a really stunning design and work the rest of the colors in the room around that. Remodeling does not have to mean having contractors traipsing in and out of your home for months at a time. It also does not have to mean a constantly empty bank balance. There are a lot of ways to get a new look in your home for less than you might think. How Does the Bank of England Influence Bank Rates?